WHAT is more than three times as long as London's Big Ben is high and as long as 41 double-decker buses? The most luxurious ocean liner in the world, the Queen Mary 2. And anyone willing to head to Point Cartwright in the wee hours of tomorrow morning or late tomorrow night will have the chance to see it. The cruise ship will be passing the Coast on its way to Brisbane at around 3am tomorrow morning and on its way up to Airlie Beach at around 9.30-10.30pm tomorrow night. Whether you are an early riser or night owl, there is an option to suit. One Coast woman who will not be checking it out from Point Cartwright is Shirley Sinclair, who will be boarding the ship in Brisbane. Shirley said she was looking forward to relaxing by the pool and enjoying all the ship has to offer. Cunard's flagship Queen Mary 2 caters for 2592 passengers and 1253 crew and weighs 151,000 tonnes. The ship has four swimming pools, a planetarium, a casino and a variety of restaurants and cafes. But words can only do such a lady so much justice and to truly revel in the grandeur that is Queen Mary 2, you must sail with her. 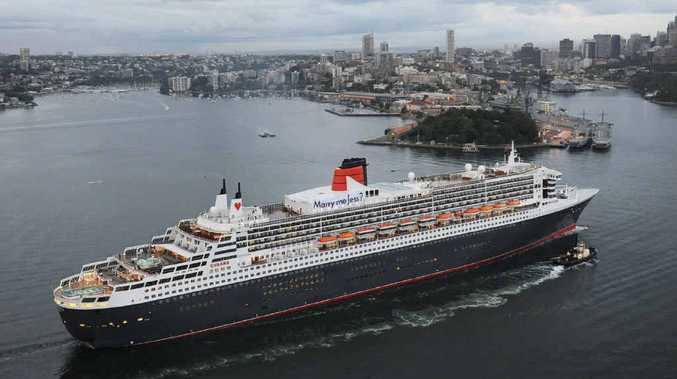 Send us your photos of the Queen Mary 2 as it passes by to editorial@scnews.com.au.